The Apex Court observed that Lotteries “infests the whole community; it enters every dwelling; it reaches every class; it preys upon the hard earnings of the poor; it plunders the ignorant and the simple.” Treating the Online Lotteries as separate class, the court observed that gullible will remain glued (to online lotteries) and there is every likelihood of purchase of tickets repeatedly, till all his savings are exhausted. The Supreme Court of India today, dismissed a batch of appeals filed by All Kerala Online Lottery Dealers Association and other Online Lottery dealers against the Division bench Judgment of Kerala High court which had upheld the Government notification banning Online Lotteries in the state. A Three Judge bench of the Apex Court comprising of Chief Justice H.L. Dattu, Justices R.K. Agrawal and Arun Mishra held that the Government of Kerala was well within its rights to prohibit the sale of online or internet lotteries in its State. By notification dated 27.01.2005, the State had prohibited the sale of tickets of all lotteries in the State of Kerala. Vide notification dated 27.01.2005, the Government of Kerala made the Kerala State Lotteries (Regulation) (Repeal) Rules, 2005 which repealed the entire Kerala State Lotteries (Regulation) Rules, 2003. Vide another notification dated 22.04.2005, the Government of Kerala lifted the prohibition of sale of paper lotteries organized, conducted or promoted by every State Government including the State of Kerala. The prohibition imposed on the sale of computerized and online tickets continued to remain in force and this was challenged through writ petitions in Kerala High Court. Single Judge Bench and later the Division bench on appeal, dismissed the Writ petitions. Finally, the appellant approached the Apex Court. The question before the Apex Court was whether the State Government can discriminate between the paper lottery and online lottery in pursuance of the provision of Section 5 of The Lotteries (Regulation) Act, 1998 Prohibition of sale of ticket in a State.— A State Government may, within the State, prohibit the sale of tickets of a lottery organised, conducted or promoted by every other State. State Government is being controlled by the paper lottery mafia and under its influence the sale of online lottery tickets has been prohibited. Impugned notification is vitiated by mala fides. The State Government, which is incompetent to legislate on lotteries run by other States, has no power to issue the impugned notification. The State shall either prohibit the sale of all lotteries or allow the sale of all lotteries in the State. Selective prohibition of a particular type of lottery is impermissible. Online lottery is different from paper lottery and can be treated as a class in itself. Central Government itself treated online lotteries as a different class in itself and thus the intention of the Parliament was to treat paper lotteries and online lotteries a different class. Prohibition of sale of online lotteries has been made bona fide and the classification is reasonable and not arbitrary. The court referred to the Apex court decision in B.R. Enterprises vs State Of U.P. and also quoted in approval, the observation made by the Single Judge bench of High Court of Kerala which said that one way of interpreting Section 5 is that the State can prohibit any form of lottery, if only it is not running any lottery at all and the interpretation is that the State can prohibit a particular form of lottery, if it is not running that form of lottery, even if it is running other types of lotteries. Single Judge had favoured an interpretation, which advances the object of the Act, and had held that the State can prohibit online lotteries, if it is not running the said type of lotteries. The court said that while interpreting a Statute of this nature meant to suppress the mischief of gambling, this Court should accept the concept of purposive interpretation and if possible save the notification intending to save the people from the vice of gambling. 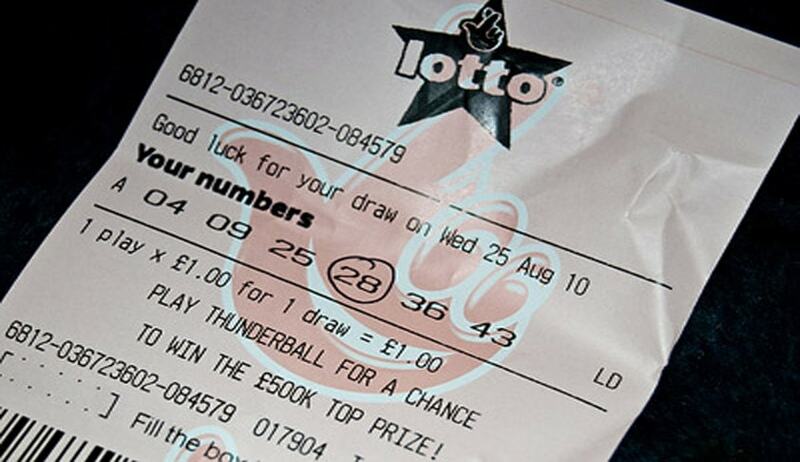 Treating online lotteries as a separate class distinguished from paper lotteries, the court observed that any type of manipulation can be done in the printing of tickets at the terminal and under the scheme of online lotteries, a number of lotteries run simultaneously. “So, by holding several lotteries, there can be several draws with a gap of few minutes in a day and the gullible will remain glued and there is every likelihood of purchase of tickets repeatedly, till all his savings are exhausted. So, if the Government takes a decision in public interest to prohibit online lotteries, this Court should not interfere with the said decision unless there are compelling grounds.”, the court observed.